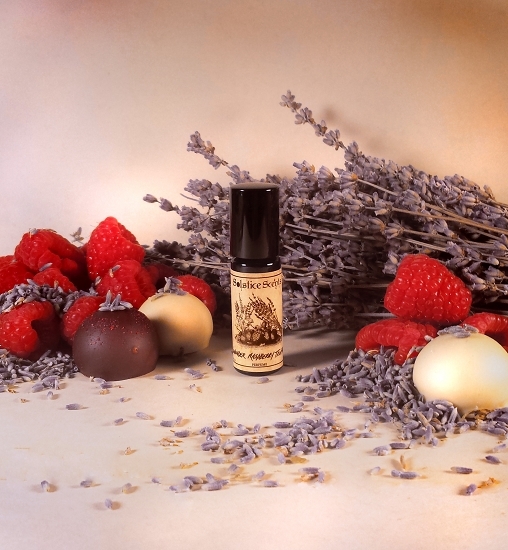 Lavender Raspberry Truffle contains natural essences including wild and organic lavender from Bulgaria, France and Spain, coumarin-heavy lavender absolute and tonka bean, cacao, organic vanilla bean tincture, white chocolate accord and raspberry accord in a base of organic cane sugar alcohol. 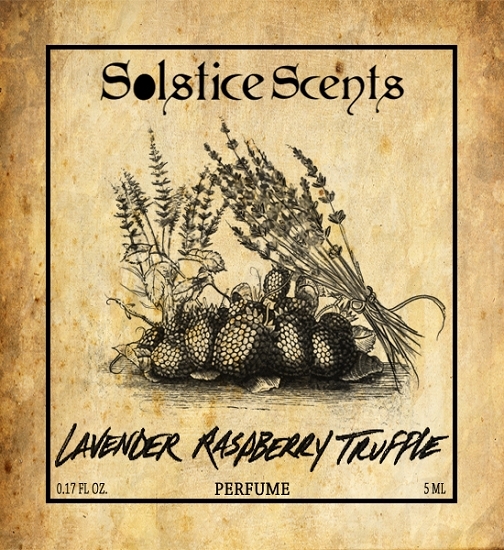 This perfume opens with a strong fresh lavender medley and rich chocolate. It becomes much sweeter as the lavender top notes burn off and the tonka, vanilla, raspberry and white chocolate move forward. The lavender settles after 5 to 10 minutes, allowing the white chocolate to peak through alongside the raspberry. The lavender all but disappears after its initial soothing burst in the opening. The raspberry is sweet and incredibly jammy or like a homemade raspberry coulis with a dollop of fresh whipped cream. The tonka and organic vanilla tincture enhances the fresh jam suggestion of the raspberry note. This blend is especially lovely applied before bed. Ingredients: Undenatured Organic Cane Sugar Alcohol, Fragrance (This is a natural blend of essential oils, isolates and tinctures). 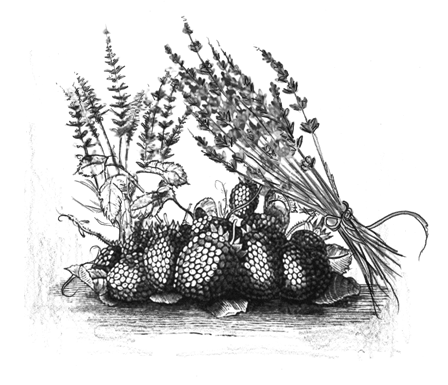 The cocoa absolute used in this perfume contains trace amounts of food grade additives and therefore cannot be considered all natural. This blend contains no synthetic fragrance oils though.